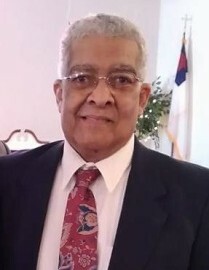 Earl McLaughlin, Sr. 71 of Laurinburg formerly of Maxton transitioned into eternal rest on March 24, 2019. Dr. Arthur Ratliff will deliver the eulogy, burial will follow in the McLeod Cemetery in Maxton. Survivors are: Wife: Linda McLaughlin. Daughters: Theresa McDaniel, Charlene Billings, Diana McIntyre, Stephanie McKoy and Danielle McLaughlin. Sons: Earl Dean McLaughlin and Louis McLaughlin. Stepchildren: Venetia Brown and Joshua Brown. Brothers: Wyatt Jr., Eric and Sammie. Sisters:Johnsie (Penny), Martha, Jane and Marie. Grandchildren: 23. Great grandchildren: 19.